H νεκρολογία όπως δημοσιεύτηκε στο μακρινό Κολοράντο. Visit the full obituary for Costas A. SARANTOPOULOS to view service dates and times, leave a condolence message or share a memory. Costas A. Sarantopoulos fell asleep in the Lord on August 15, 2018, the feastday of the Dormition of the Virgin Mary, his caring, devoted wife Pauline at his side. Born October 18, 1930, to parents, Athanasios and Anastasia (Lambropoulous) Sarantopoulos, in Valtetsi, Greece, he was the youngest male of seven siblings. Costas never forgot his roots and family played a vital role in his life. His upbringing contributed to his strong faith, love of God, love of country, education and family. Costas was married 37 years to Pauline (Shiolas), his selfless, adoring wife who cared for him as Alzheimer’s took its hold. He was preceded in death by his first wife, Kay (Georgelis). Yorgos during the Greek Civil War which followed suit. His education was disrupted, his village burned, family and country crippled. Education was the avenue to his success and despite poverty and difficult times, he gained admittance to medical school. As the first to pursue higher education, he was forever indebted to the support and sacrifice of his family. A 1956 graduate of the National and Kapodistrian University of Athens Medical School, Greece, he ventured to Euclid-Glenville Hospital in Cleveland for an internship. Orthopedic Surgery residencies at Albert Einstein Medical Center, Jersey City Medical Center and Kings County Hospital followed. In 1965, he earned a PhD in Orthopedics. He was an officer in the Greek army. Married in 1964 to Kay Georgelis of Martins Ferry, Ohio, the young couple settled in Youngstown, Ohio, raising their family. He practiced at Orthopedic Associates of Youngstown. Costas served on the staff at St. Elizabeth Medical Center and was an associate professor at North Eastern Ohio University College of Medicine (NEOUCOM). He was a fellow of both the American Academy of Orthopedic Surgeons and the American Academy of Surgeons. A proud American, Costas believed in the opportunities available in this country, yet annual trips to Greece connected his children to their extended family and heritage. Archon Aktouarios of the Ecumenical Patriarchate of Constantinople and an original member of Leadership 100, the Orthodox Church was his foundation. On a local level, he was a Parish Council member of St. John’s Greek Orthodox Church in Youngstown, Ohio, serving as president in 1984; he taught Sunday School and was a member of the Eastern Orthodox Men’s Club. In 1978, the profound loss of his wife Kay to cancer left him a widow with four children ranging in age from 3 to 13 years old. The steady support of family, friends, and especially his father-in-law John Georgelis carried him through this difficult time. In 1981, Pauline Shiolas became his bride, having met on the grounds of Hellenic College in Boston. His love of books led him into her office just minutes before closing time. Pauline served as Director of Religious Education for the Greek Orthodox Archdiocese of North America and was responsible for new publications. He asked Pauline to visit Youngstown and conduct a seminar. “Where is Youngstown?” she asked. “Youngstown is the center of the universe!” he replied. Her open heart and willingness to marry not only Costas but his entire family, healed his fractured family. Pauline served as his rock for the duration of his life. A sincere love of his homeland prompted his involvement in the Pan-Arcadian Federation where he served two terms as Supreme President. His desire, along with his fellow Pan-Arcadians, to improve healthcare in Greece, resulted in the establishment of the kidney dialysis center at the Pan- Arcadian Hospital in Tripoli. During his inspired presidency, the funds for ten kidney dialysis machines were raised in one evening thanks to the generosity of his fellow countrymen. On the local level, he was a key member of Chapter Tripoli #9, Youngstown, and a dedicated member of the Association Valtetsioton. Costas was a co-founder of the Hellenic Studies Program at the University of Connecticut and influential in the establishment of the Paideia Program. Retiring from his medical practice in 1997, he decided to build a house in Valtetsi on the sight of his familial home where he and his siblings were born. The house serves as a testament to the survival of the Sarantopoulos family. In retirement, Costas devoted his energies to gathering the testimonies of survivors and witnesses of the destruction of his village and its people during the Greek Civil War. 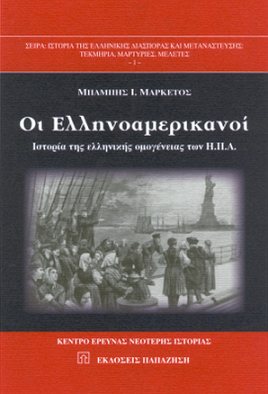 Valtetsi 1944 was published in Greece in 2003. His desire was not to attach blame, but to guard from history repeating itself. A 50-year resident of Youngstown, Ohio, Costas and Pauline relocated to her hometown of Grand Junction, Colorado, in 2017. A lifelong learner and creative mind, he was fascinated by medicine, had a strong appreciation for the arts and rare books. Bibliophile, philhellene, academic, generous in spirit, a brilliant surgeon, and a true gentleman, Costas was one of a kind and those who knew him were enriched by his presence. His loss will be profound. Consolation is found in the fact that he lived fully and used his many talents to the best of his abilities. Sincere gratitude to the many angels who so lovingly assisted in his care during his declining health and to Fr. Luke Uhl for his spiritual care. To honor his memory, donations may be made to IOCC (International Orthodox Christian Charities) at 110 West Road, Ste. 360, Towson, Md. 21204, iocc.org, designated for Greece Relief or St. Gregory of Palamas Monastery, 934 County Road 2256, Perrysville, OH 44864, sgpm.goarch.org. Visitation will take place on Thursday, August 23, 5-7 pm, at St. Nicholas Greek Orthodox Church, Grand Junction, Colorado. A Trisagion Service will be held at 7 pm. Funeral Service will be held at St. Nicholas Orthodox Church in Grand Junction, Colorado, on Friday, August 24, at 10 am. Luncheon to follow at the Doubletree Hotel Grand Junction.